Much has already been written about the wonderful new book “Beyond Bacon: Paleo Recipes That Respect The Whole Hog” – here, here and here. Matthew McCarry and Stacy Toth (The Paleo Parents) have created a true Masterpiece of a cookbook that excels in all categories. I don’t know about you, but I have become pretty selective when it comes to actual hard copies of books. The advent of electronic media has meant that e-books, iPad apps and digital downloads of books have become the norm. If a bona fide hardback book is making it into my house it better be excellent. Beyond Bacon is just such a book. 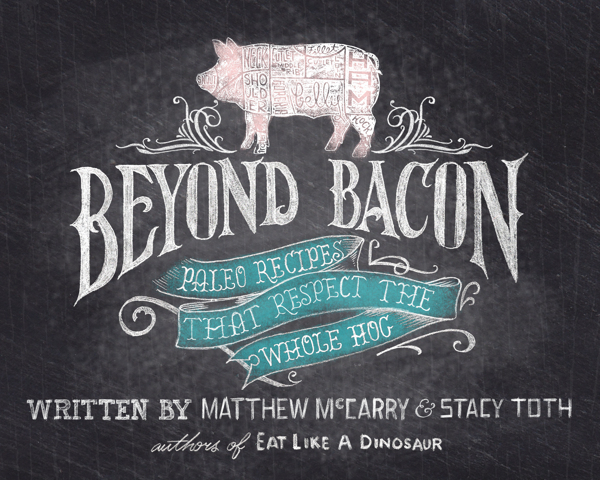 Beyond Bacon is a completely “paleo” cookbook with only gluten, grain, legume and dairy-free recipes found within its covers. 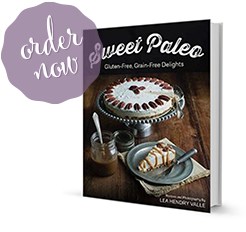 Even if you are not a strict follower of the paleo diet this book is loaded with tasty dishes and mouth-watering photos for every recipe. 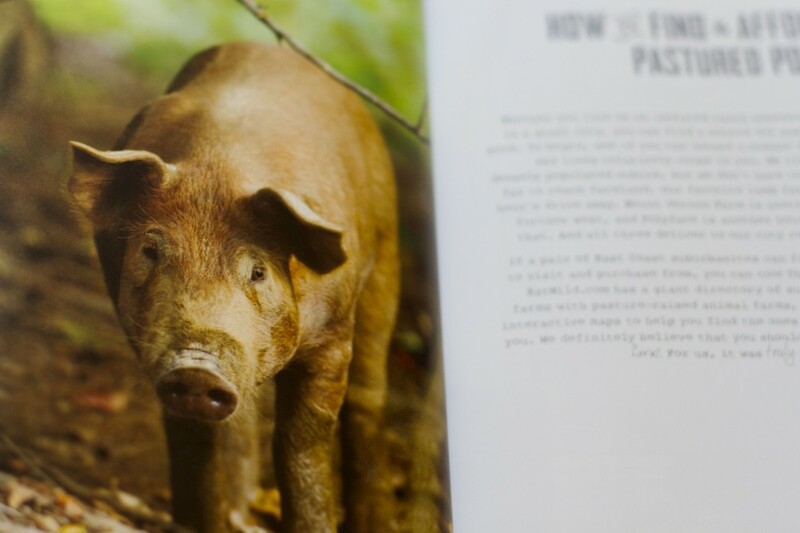 Presenting a book of pork recipes, including several “dessert” recipes utilizing lard as a main ingredient, means spending time countering a lot of conventional wisdom on the subject. Matt and Stacy do an excellent job of providing plenty of science and nutrition information in and easy to understand format. The writing style is engaging and they cover every aspect of pork from how to buy it, prepare it with lots and lots of recipes. You have always known pork is delicious. But after reading Beyond Bacon you will have a much better understanding of why pork from properly raised pigs is actually very healthful. Just check out Nathaniel’s face as he feasts his eyes on the “Salted Caramel Bacon Sauce” recipe which proved to be “out of this world” delicious. I cannot recommend Beyond Bacon more highly. If you are looking for a cookbook that will help you eat more healthily and economically, this is the book for you. If you love to better understand why going “back to the basics” with food makes nutritional sense, this book is for you. 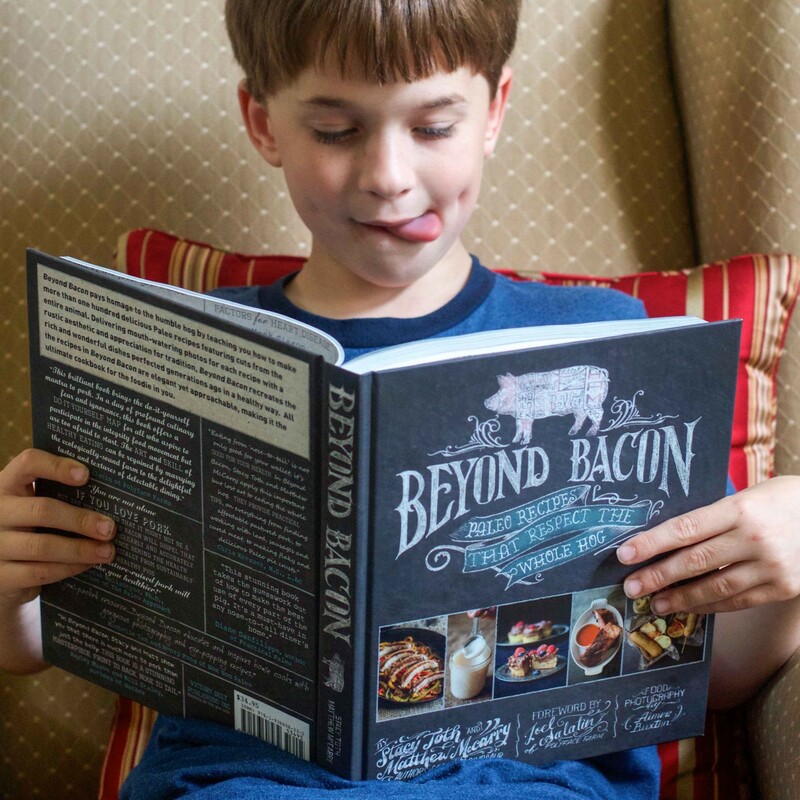 And if you love cookbooks with delicious recipes, beautiful photographs and design, you simply MUST add Beyond Bacon to your collection. On Sale Now! Go buy Beyond Bacon. You won’t regret it. 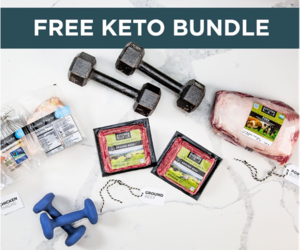 8 Responses to "Paleo Spirit Book Review: “Beyond Bacon”"
Thanks for sharing a good review of this book, I have had my eyes at it for a long time but I dont know if I can aply it to my family’s “food issues”. So now I want to ask you! Does most of the recepies contain eggs and nuts? My husband and son have allergies against this. I just looked through the book again and most of the recipes for main courses and vegetables don’t contain eggs or nuts. Some do though. The dessert recipes definitely contain nut flours and/or eggs. So you would not be able to make all the recipes but probably 70% of them or so. Another alternative for you is the cookbook “The Autoimmune Paleo Cookbook”. I did a post about the AIProtocol and reviewed the book here http://paleospirit.com/2013/what-is-the-autoimmune-paleo-protocol/. There’s a link at the bottom of that post where you can go buy the e-book. 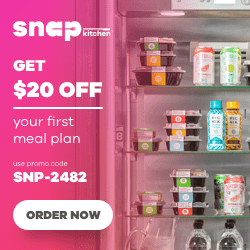 That cookbook contains paleo recipes that also do not contain eggs, nuts or nightshades (among other things) that are difficult for people with severe allergies and/or autoimmune diseases. I hope that helps. Aloha, I live in a Motor Home…books cost gas…any likelihood of a “Kindle” version of the book? I am sure I would love it. Well, I feel like an idiot….of course you have it in Kindle….thanks am enjoying the book.